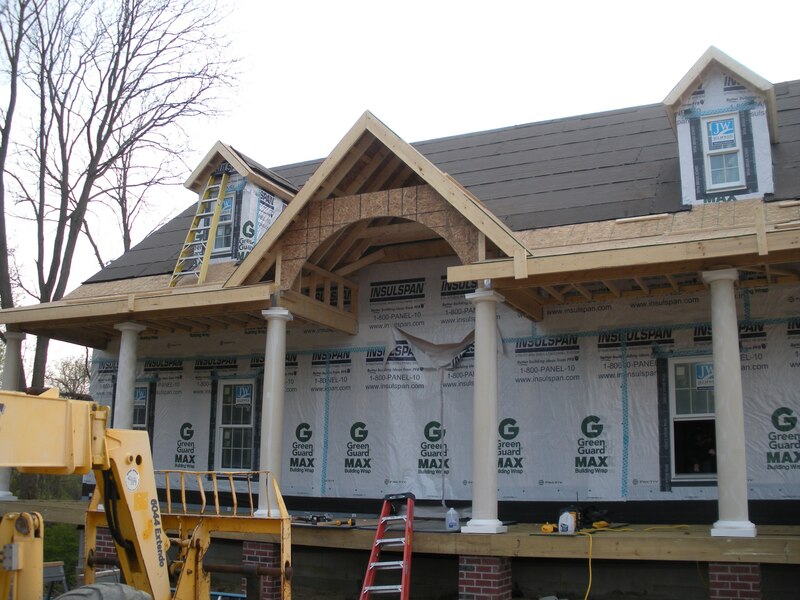 The center peak of the porch gets an arch on the underside to match the arch over the door. You can see the arch taking shape in this picture. There will be another piece of OSB against the house and there will be 2×4’s strung between them. 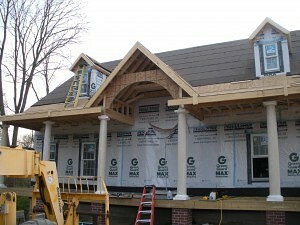 In a few more days the front door will be set and the T&G porch flooring will go down.